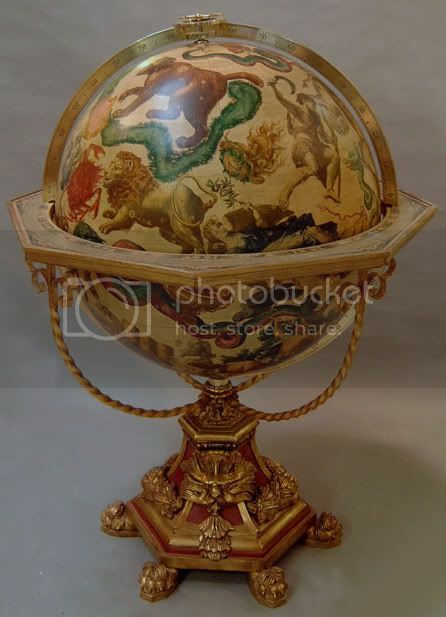 First off I find the globe itself beautiful, so the modding trick here would to keep it outwardly the same. Two sides portions of the base would have to be hinged to allow wires, access to buttons and ports. This would be one that has many types of TV connections if possible. Something to keep off until you're ready for enjoying some entertainment. Svideo, Component, HDMI, RGB VGA, RCA coax audio, normal 3.55mm surround, Digital out. A DVD Drive would be required. For this just pull out: Power, video and audio wires and enjoy with a wireless keyboard and mouse. Watch a movie and do a little web surfing on your TV.